Welcome to a Hall of Fame that is unique for a couple of reasons. It's exclusively online (for now). It honors the women with the best hairstyles of modern times. And everyone in this hall is selected by you, the Hair Fan - both in nominations and voting. In 2017, we welcomed four new members to the Hall of Fame! DOROTHY HAMILL - INDUCTED. Some of us wondered why it took this long. But the figure skater who made "the wedge" hairstyle famous enters with 83 percent (despite a sudden drop in the final hours). 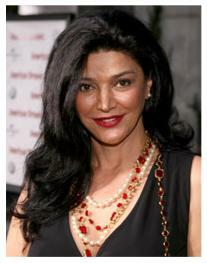 SHOHREH AGHDASHLOO - INDUCTED. The year's most surprising name may have been this award-winning actress from Iran. Yet she becomes the first Asian member of the Hall of Fame, with 80-percent support. MARIE OSMOND - INDUCTED. The female entertainer in the Osmond family shook off mentions of extensions to gain 76-percent support, as most voters may have focused on her TV variety years. VANNA WHITE. The letter-turner on Wheel of Fortune looked like she destined for induction. But a rush of no votes in the final days left her short of two-thirds support, at 62 percent. MEG RYAN. The movie star who won the first Super-Hair Wars championship in 2000 did not impress here, gaining only 29-percent support. "When has she ever been known for hair?" one voter asked. 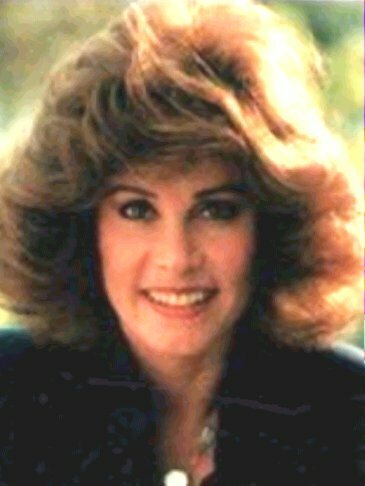 STEFANIE POWERS. An actress who showed strong styles on series such as The Girl from U.N.C.L.E. and Hart to Hart. She was a finalist for the Hall two previous times. FINAL VOTE COUNTS: Hamill 15-3, Aghlashloo 16-4, Osmond 16-5, White 8-5, Ryan 5-12. © 2001-18 www.Super-Hair.Net, All Rights Reserved.